A field on State Route 41 just south of Washington C.H. sat in several inches of water as rain fell throughout the day Wednesday. The water continued draining into the various fields nearby throughout the afternoon. Due to the snow and ice from recent storms, the county was already significantly wet and the rain added inches of flooding all over the community. https://www.recordherald.com/wp-content/uploads/sites/27/2019/02/web1_20190206_150509.jpgA field on State Route 41 just south of Washington C.H. sat in several inches of water as rain fell throughout the day Wednesday. The water continued draining into the various fields nearby throughout the afternoon. 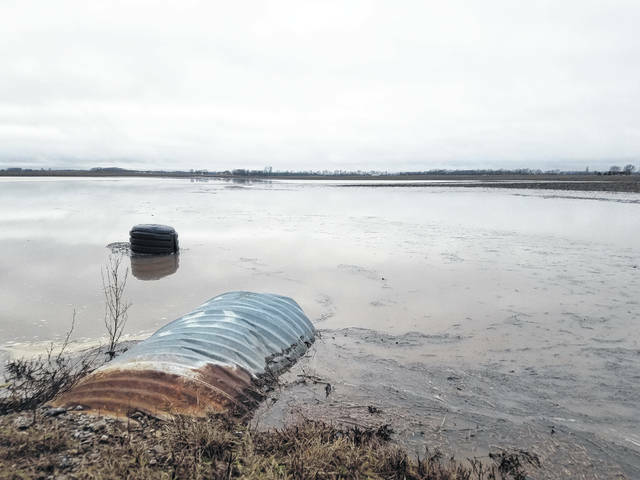 Due to the snow and ice from recent storms, the county was already significantly wet and the rain added inches of flooding all over the community.